There was some debate as to what Cristiano Ronaldo‘s celebration for the first of his three goals meant. Some joked he stroked his chin as a nod to the late, great Jimmy Hill. As it turns out, Ronaldo was apparently telling the world that he is the GOAT – the Greatest Of All Time – a day before Lionel Messi‘s Argentina face Iceland. After his World Cup hat-trick against Spain, it is difficult to disagree. 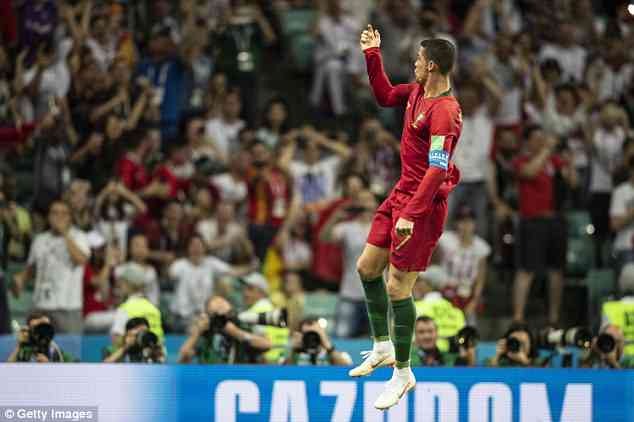 What is most remarkable, though, is how Ronaldo has adapted his game to stay on top of the world. The Portuguese was pragmatic. He knew that hitting 30 was an unwanted milestone for most players. The legs aren’t what they used to be and there is a danger of the goals drying up. 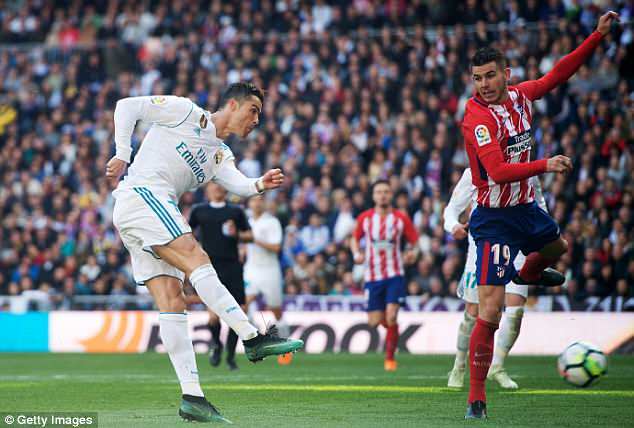 Now 33, Ronaldo found a way to not only continue doing what he does on a weekly basis, but also in the biggest of games on the biggest of stages. A look at Ronaldo’s record before and after his 30th birthday demonstrate his dominance. Before turning 30, 52 goals in 118 games for Portugal. Since turning 30, 32 in 33. So how has he done it? It is not down to blind luck but rather a conscious change. In his younger days, the Portuguese was seen as a complete package. He would terrorise full backs on the flank, with skills, nutmegs and shots from outside the area to boot. 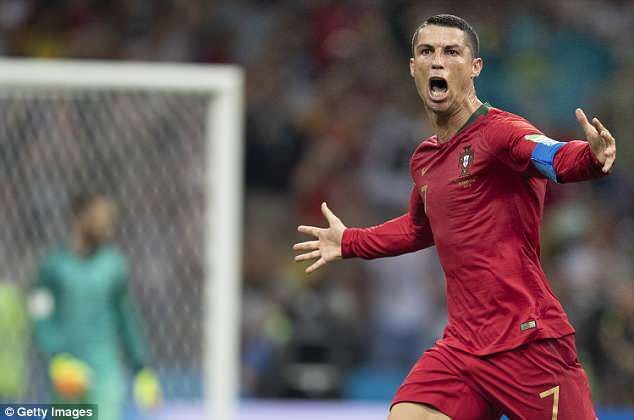 Ronaldo is still capable of the odd moment of magic and the former Manchester United starlet’s performance against Spain on Friday felt like a flashback at times. Yet these days, Ronaldo has kept up his scoring rate by evolving into an entirely different nightmare for defenders. Now for Real Madrid, he is a world-class poacher, among other things. Whereas he used to spend the majority of his time outside of the area, he now owns the box. Watch clips of his strikes in La Liga, and opposing fans will scream at defenders to get tight. Ronaldo, though, makes himself frightening to mark. He finds space, he exposes it. He saves his energy for when he needs it. The sight of Ronaldo sprinting beyond defenders during counter-attacks is not uncommon. The sight of Ronaldo running down the wing with the ball is. Since the first of his nine seasons for Real Madrid, this adaptation has become apparent. Ronaldo’s dribbles attempted per game have gone from 6.26 in 2009-10, to 4.31 in 2013-14, to 2.35 in 2017-18. Shots from inside the box have gone from 3.33 in his first season to 5.34 now. While shots from outside the box have gone from 4.16 to 1.54. It shows where his territory now is, although against Spain, it felt different. Ronaldo was all over the country that had fined him £16.4million to settle tax evasion charges earlier in the day. After winning then converting a penalty, he scored a rare goal from outside of the area, thanks to clumsiness from David de Gea. His third, to complete the 3-3 scoreline, was special. 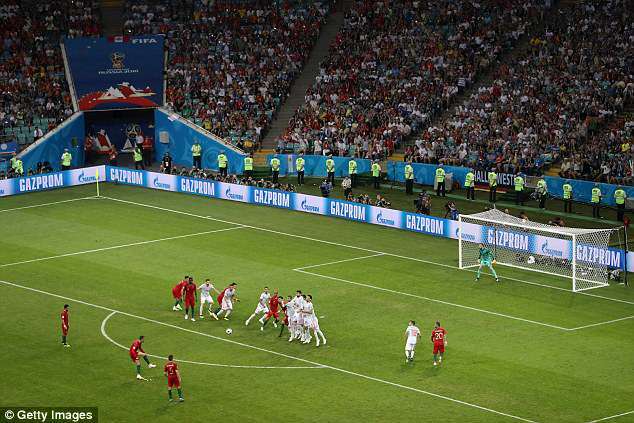 It was his 45th attempt from a direct free-kick at a World Cup or European Championship, and the first that had went in, leaving De Gea motionless. It was his night. The Portugal superstar nowadays has a tendency to feel like he is doing little, when he is in fact lying in wait for his chance to pounce. He is no passenger. He is simply someone who has changed the way he plays for the better, to prolong his stay at the very top. In the days leading up to Real Madrid’s Champions League crunch match with Juventus, when Ronaldo’s overhead kick stole the show, Gianluigi Buffon was asked about his rival. ‘I have unlimited admiration for Cristiano Ronaldo,’ Juve goalkeeper Buffon said. ‘He has been able to improve with age. In recent years he has shown that he is intelligent. Ronaldo wants to add the World Cup to his trophy cabinet, following on from his Euro 2016 triumph. You would not put it past him dragging Portugal to the final himself, even at 33.